"My thoughts are stars I can't fathom into constellations"
Augustus pretty much spot-on summed up how my thoughts are right now. I'm going to attempt to explain how I feel and what I think about this book, but it probably wouldn't do it justice. 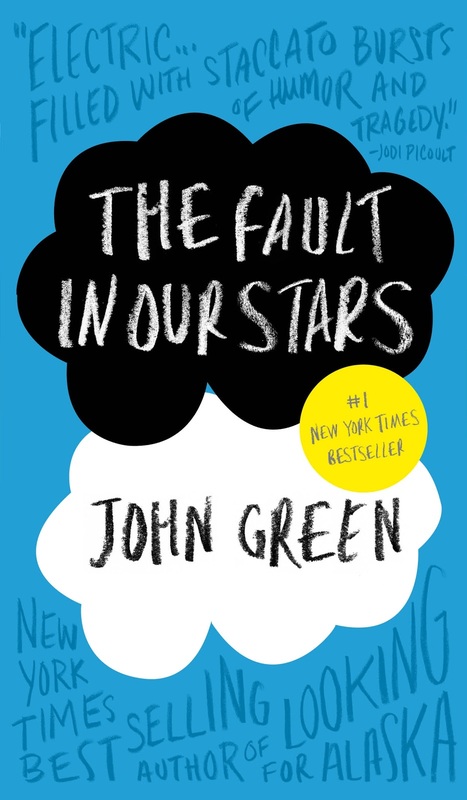 The Fault In Our Stars was a beautiful, astonishing, magnificent, wondrous-and any other adjective that could best describe how awesome this book was-book. I have fallen in love with John Green's writing, and this book is the best I've read by him by far. The Fault In Our Stars has instantly become a favorite of mine that I will definitely be rereading over and over again, which is saying something considering that I NEVER reread books (with the exception of Harry Potter of course). The characters were so lively, likable, and so real. Gus was definitely my favorite character in the novel, I loved his humor and charismatic personality, and best of all his determination to leave an imprint in the world. Isaac was adorable and such a sweetheart. Most of the time when I read funny scenes in books I laugh, but not a real laugh, more like blowing air through my nose with a small smile on my face. However, TFIOS had me laughing out loud and chuckling numerous times. Having lost so many people I've loved to cancer this book hit pretty close to home. TFIOS really showed how the person with cancer isn't the only one affected, sometimes it's almost like everyone you love gets the disease too. Finally a cancer book that's not really a cancer book. I could really relate to Gus, so many times in my life I felt that I'm not living a life that will be worth remembering or one that will go down in history. But TFIOS, just as other books by John Green, taught me a valuable lesson. It doesn't matter if strangers remember you 100 years from now, what matters is that you loved and left love scars on people. Maybe your story will die with them, but the love you had is infinite. My many loved ones that lost their battles to cancer probably won't ever have biographies or memoirs written about them, but the marks they've left on me were not and are not temporary. Thank you John Green, for opening my eyes to something I never really realized, yet again.